I. Individualisation. 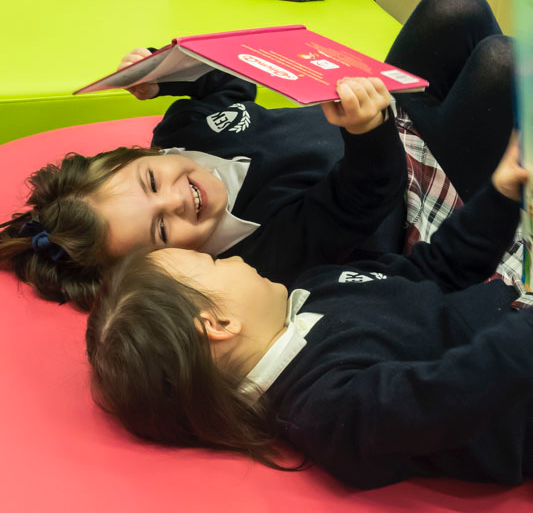 Because each individual is different, the SEK Group seeks at all times to personalise the learning process, respecting the pace, the way of thinking, the motivations and interests and originality of each student. II. Emphasis on ‘learning’ rather than ‘teaching’. The acquisition of instructional content is not as important as employing their own thinking, learning to think and learning to learn. III. Activity and effort. Learning demands personal effort – both intellectual and physical – with students exercising, developing and perfecting their skills and abilities. IV. Freedom. Education attains its goals by helping each student to build a personal life-project in a committed and responsible way. Because freedom is learned by exercising it. V. Interaction and team work. Agents in the learning process – teachers as mediators and students as protagonists – work as a team, in an interactive learning dynamic. VI. Perfection. Because mankind tends towards the attainment of perfection, education should endeavour to serve as a motivational force and supporting structure to develop all of the students’ capabilities, to their full potential. a) The immediate objective of learning is the construction of meaning and the development of intelligence and values of the whole student body. b) Learning tasks must be real and authentic. c) Teaching-learning methods are more efficient if they are diversified. d) The control of learning must be progressively transferred to the students. e) The role of teachers is not to transmit knowledge, but to mediate in students’ learning. f) The role of students is to participate actively and responsibly in their own learning process. g) The assessment of learning should not only affect the content but also the processes, using multiple contexts. h) Student-teacher interaction works better in a true community of learners. This Kantian-esque motto, was the first to be adopted by the SEK Group. It encourages autonomy in adopting a value scale that is capable of guiding the life of each of its students.